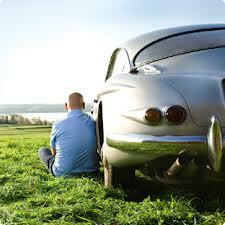 A specialty insurance is necessary for your one-of-a-kind, original or antique automobile. As with most insurances there are a variety of insurance providers, all as unique as your collector car. You need an insurance broker that will take the time to explain the different collector car insurance policies you have available to you, for you to make a knowledgeable choice. There are minimum coverage requirements and options depending on whether or not you use your classic, antique or collector car daily or for exhibitions. For instance, antique auto insurance typically apply to vehicles over 25 years old, and primarily maintained for exhibition, otherwise other lines may be better suited for your use. Your Las Vegas EINSURE Agent will take the time to understand how you use your antique or collector car to get you the right amount of coverage at an affordable price. Get your Free Quote for Collector Car Insurance Today.